When you come in for a regular six month visit, our knowledgeable dentist, Dr. Jon C. Bauman, will examine your teeth and provide a thorough dental hygiene assessment and teeth cleaning. A professional teeth cleaning is necessary in order to help prevent cavities and periodontal disease. Even with good brushing and flossing habits, plaque and tartar can still build up and require special dental tools to remove. Tartar, or dental calculus, is hardened plaque, which can cause tooth decay and gum disease. Other factors can also contribute to plaque buildup, such as smoking, poor diet, and medications. Removing the plaque from your teeth can also help to eliminate bad breath, which 70 percent of people say is an automatic turn-off. The best way to eliminate the plaque and tartar from your teeth and help return the luster to your smile is with a professional teeth cleaning at Riverdale Dental Center. 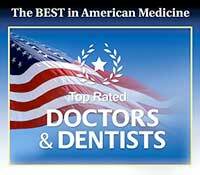 We want your smile to be at optimal health and to look its best. If you have any questions about how a hygiene assessment and teeth cleaning can benefit you, please feel free to contact our office today.